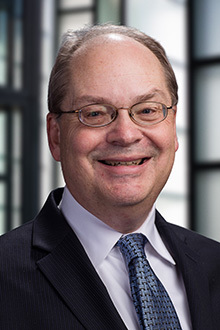 John T. Harding is a partner in the Boston office of Lewis Brisbois Bisgaard & Smith LLP, where he practices in the firm’s Insurance and Bad Faith Group. John’s practice is concentrated in the areas of insurance coverage litigation and advice, reinsurance disputes and arbitrations, and “bad faith” litigation. John has more than twenty-seven years of experience in representing domestic and foreign insurers on a national basis in coverage disputes under CGL, excess, umbrella, commercial property, homeowners, auto and other specialized policies. John’s expertise extends to claims arising out of underlying environmental, asbestos, products, pharmaceutical, medical device, employment discrimination, technology, construction, tort and other liabilities, as well as a broad range of first-party losses John has significant experience in handling reinsurance matters on both the ceding company and reinsurer side. John also has extensive experience in the trial of complex coverage cases to juries and to courts, including a number of multi-phased proceedings. Further, John has handled numerous appeals in state and federal courts throughout the country involving the key legal issues that have been at the forefront of modern coverage litigation. In addition, John has been involved in several Bermuda form arbitrations in London. In addition to his insurance and reinsurance practice, John has extensive experience in complex business litigation, land use and environmental matters in state and federal courts. Trial counsel in six week jury trial in federal court relating to coverage for costs of up to $200 million for remediating PCB contamination in river. Obtained defense verdict. Trial counsel in multi-phase jury trial relating to coverage for clean up of nine manufactured gas plant sites under historic excess insurance policies, including a trial on issues relating to lost policies. Trial counsel in multi-phase jury trial relating to coverage for more than 400,000 claims for asbestos injury arising out of sale of respirator masks and asbestos-containing products. Obtained favorable summary judgment rulings on key legal issues. Trial counsel in multi-phase jury and bench trials relating to coverage for $1 billion in costs arising out of manufacture of silicone breast implants. Obtained directed verdict on insured’s claim for “bad faith” and consequential damages. Appellate counsel in case of first impression relating to impact of late notice of suit provided by allegedly injured claimant where policyholder never notified insurer of the suit. Prevailed at trial level and on appeal in coverage dispute relating to interpretation of surface water exclusion in first-party business property policy. Represented numerous ceding companies and reinsurers in disputes relating to reinsurance for asbestos, pollution and other claims, including workers’ compensation claims involving the London LMX/Sphere Drake occupational accident spiral. Obtained defense verdict after six week jury trial in multi-party action seeking allocation of more than $13 million in response costs for historic PCB contamination of brook. Represented international financial institutions in litigation arising out of syndicated lending arrangement and collapse of $1 billion undersea communication company. Obtained favorable settlement before trial. Trial counsel for owner of $25 million property on Martha’s Vineyard relating to dispute over use of historic easement. Represented co-owner of closely held corporation arising out of wrongful dissolution of entity and seizure of ownership interest. Obtained favorable award after 14 day arbitration, including rejection of all counterclaims. OneBeacon American Ins Co v. Narragansett Electric Co.
Himelhoch v. Hartford Cas. Ins. Co.
Boston Gas Co. v. Century Indemnity Co., et al. Barrett Paving Materials v. Continental Ins. Co.
Minnesota Mining and Manufacturing Co. v. First State Ins. Co.
Boston Renaissance Charter School, Inc., et al. Punitive Damages Update, IADC Mid-Year Meeting, February 2018. Late Notice Roundtable. PLRB National Claims Conference, Mar. 2017. Bad Faith: Tips, Trends and (Sand) Traps. IADC Mid-Year Meeting, Feb. 2017. Bad Faith Update. ExecuSummit Bad Faith Conference, Nov. 2016. Peeling the Bermuda Onion: Bermuda Form Policies and Arbitrations. Mass. Reinsurance Bar Association, Oct. 2016. Determining the Number of Occurrences. PLRB National Claims Conference, April 2016. The Number of Occurrences Dilemma. IADC Mid-Year Meeting, Feb. 2016. Implications of Boyle v. Zurich American Insurance Co. Boston Bar Association, Feb. 2016. Primary vs. Excess Insurance, Priority and Allocation of Coverage. Strafford Webinar, Sept. 2015, Sept. 2014, July 2013, July 2012. The Number of Occurrences Dilemma. DRI Insurance Coverage and Claims Institute, March 2015. Hot Issues in Reinsurance for Liability Claims. MREBA, Oct. 2014. Insurance Law Update. FETTI, Sept. 2014. Allocation of Indemnity in Multiple Claimant Cases. HB Insurance Allocation Strategies Conference, Oct. 2013. Beyond the Headlines: Underwriting Emerging Risks. MREBA, Oct. 2013. Insurance Law Update. FETTI, Sept. 2013. Settling in Bad Faith. DRI Bad Faith Conference, June 2013. Number of Occurrences in Liability Claims. Strafford Webinar, Oct. 2013, Nov. 2012. A View from the Panel: Hot Topics in Arbitration. MREBA, Oct. 2012. Insurance Law Update. FETTI, Sept. 2012. Right of Association and Claims Control Clauses. MREBA, Oct. 2011. Excess Insurance: The Outer Limits. DRI Insurance Coverage and Claims Institute, March 2011. Reinsurance Arbitration in the Global Age. MREBA, Oct. 2010. The English Revolution: Follow the Fortunes after WASA v. Lexington. MREBA, Oct. 2009. Occurrences Wars. CICLA Seminar, June 2007. Publications Chair and Advisory Board, DRI Insurance Law Committee. The English Revolution: Follow the Fortunes After WASA v. Lexington, was selected to receive the John G. Yancey Award by the International Association of Defense Counsel as outstanding article of the year.